Admirals Club Upgrade: New Coffee and Espresso Machine! First the Admirals Club added yogurt pretzels, then they went and upgraded the rest of their snack menu, and now this: in many of their lounges they’re installing awesome new coffee machines and now visitors can enjoy complimentary self serve lattes, cappuccinos, and (my favorite) unlimited espresso shots!!! 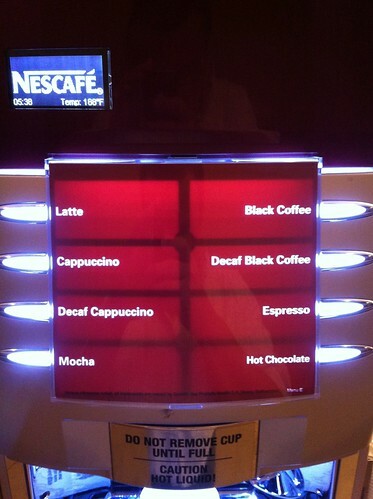 My drink of choice is the Americano, but unfortunately the machine isn’t set up to make one. No problem, I can do it myself, and in the spirit of The Weekly Flyer’s lounge survival tips, I’m going to teach you how to use the resources at hand to make your own DIY Admirals Club AAmericano! As every road warrior knows, preparation is everything. 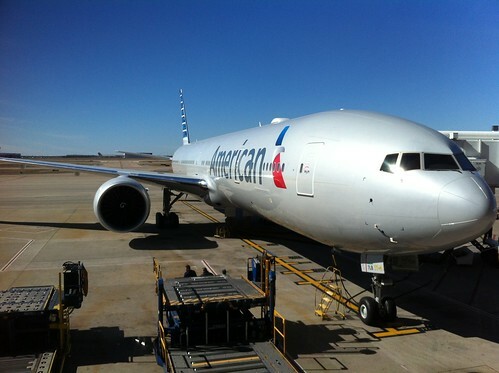 Grab an American Airlines coffee mug and using the hot water dispenser on the coffee machine, fill the cup with about 1/3 volume of water. An Americano is traditionally water and espresso in equal volumes, but adjust and experiment for your own preference. Using either a paper cup for a shot glass, or your mug of hot water, put the cup under the Nescafe Alegria’s spout and select ‘Espresso’. 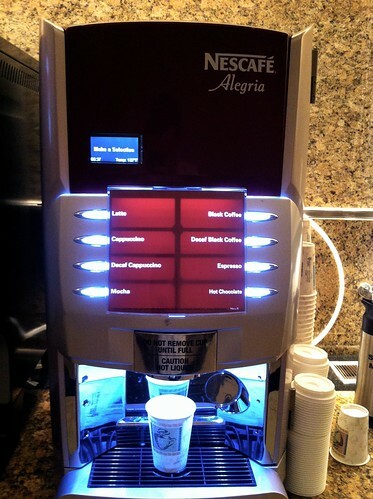 The Nescafe Alegria grinds the coffee and dispenses your espresso shot in in less than 90 seconds. Once the machine is finished, and the espresso and water are combined, you’re done! 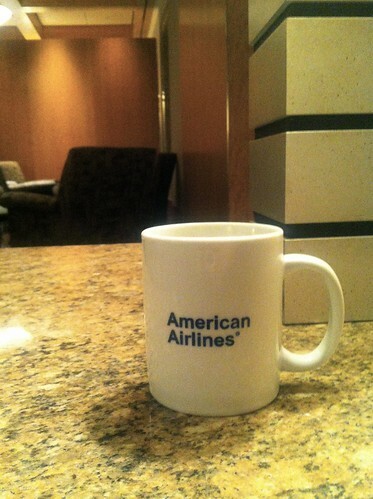 Take your DIY Admirals Club AAmericano to your seat and enjoy! Definitely a good survival skill to have. 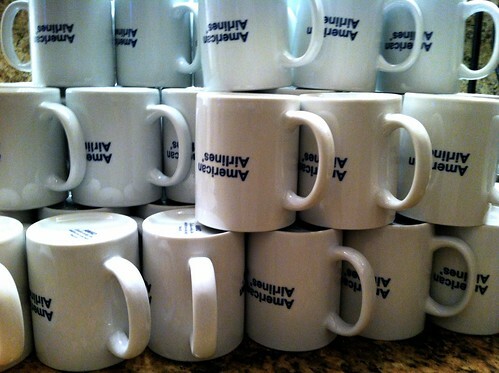 Love the mugs with logo. I love these machines, some of the ACs have had them for quite some time now, glad to see they are phasing them into the rest of their ACs. You must be kidding. These machines are vile. They reconstitute coffee powder with hot water. The result can’t be described as coffee. Great news…finally…I don’t have to bring my own coffee anymore …now I can leave my French Roast Tasters Choice at home…will try the new machine this coming Saturday .. These new Allegra machines put out the worst quality coffee. Completely unpalatable, what a downgrade!